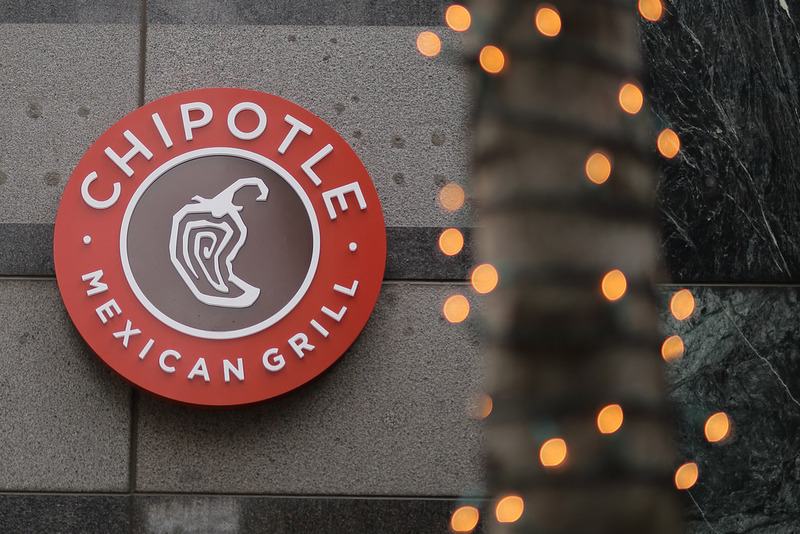 Chipotle co-CEO and founder Steve Ells has been riding a great big apology train around the news circuit lately, issuing a mea culpa on TV last week and mentioning again this week how “deeply sorry” he is that the chain has been linked to a nine-state E. coli outbreak that’s sickened more than 50 people and a major norovirus incident in Boston involving 140 students. He’s not done yet, either: the company took out a full-page ad in 61 newspapers around the country on Wednesday to continue apologizing to customers. It ran today in major U.S. newspapers including the New York Times, Wall Street Journal, and USA Today, which are the top three U.S. newspapers by circulation, notes Fortune, reaching an average of 8.5 million readers every day combined. 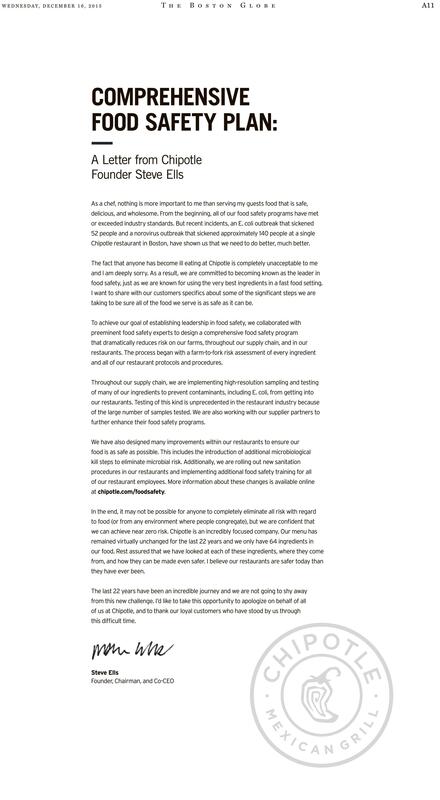 The ad features a letter from Ells, adorned only with a Chipotle watermark at the bottom, and offers details on the company’s plan to turn its food safety procedures around “to be sure all of the food we serve is as safe as it can be,” and is peppered with additional apologies to add to the CEO’s continuing chorus. He writes that Chipotle worked with food-safety experts to run a “farm-to-fork risk assessment” of every ingredient it uses and restaurant protocols, and will also provide more food safety training for employees and implement more cleaning steps to make sure its kitchens aren’t breeding grounds for germs. “In the end, it may not be possible for anyone to completely eliminate all risk with regard to food (or from any environment where people congregate), but we are confident that we can achieve near zero risk,” Ells wrote. Previous Which Retailers Have Changed Their Return Policies This Holiday Season?